Laser hair removal utilizes beams of highly concentrated light designed to penetrate into the hair follicle. The light is a specific wave length that targets the pigmentation in the hair follicle. When the light enters the follicle it is converted to heat energy. It inactivates the hair follicle so that it cannot produce another hair. But don't let me bore you. Check out our technology! The GentleLASE Mini is one of the best lasers on the market today. 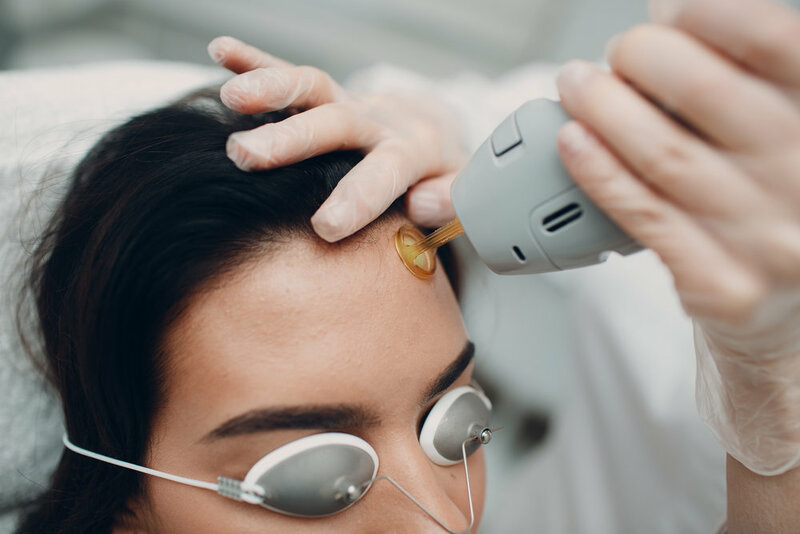 It offers many non invasive treatments such as hair removal (of course), vascular lesions, pigmented lesions, wrinkle reduction, sun damaged skin, etc. You get the idea if you have any skin problem, ask what the mini can do for you. All of our lasers are FDA approved for permanent hair reduction. They have a patented cooling device to increase comfort while hair follicles are being destroyed. These are the best lasers on the market. If you have any more questions please feel free to contact us.